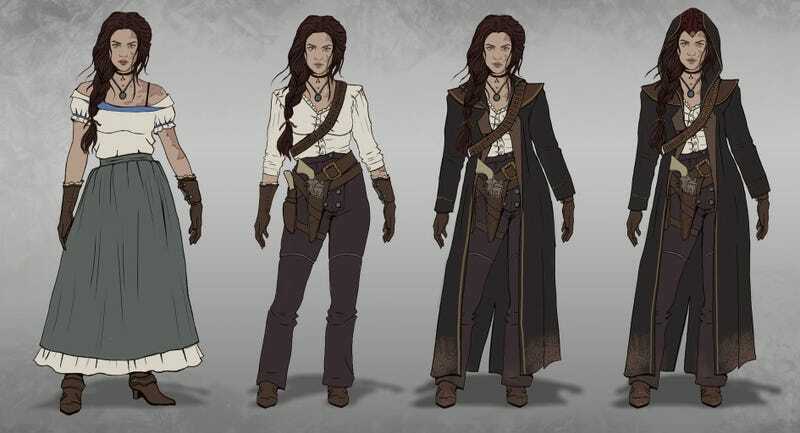 Gislaine Avila is a character designer and illustrator from Brazil, who has some ideas about what a Western (the genre, not the hemisphere) Assassin’s Creed might look like. Below you’ll find a range of images depicting Delilah Graham, star of Assassin’s Creed: Gold Rush, a game that doesn’t exist, but which in my over the last month kinda has in my mind as I’ve alternated between one game about riding a horse through Greece and another about riding a horse across the US. You can see more of Gislaine’s work at her ArtStation page.